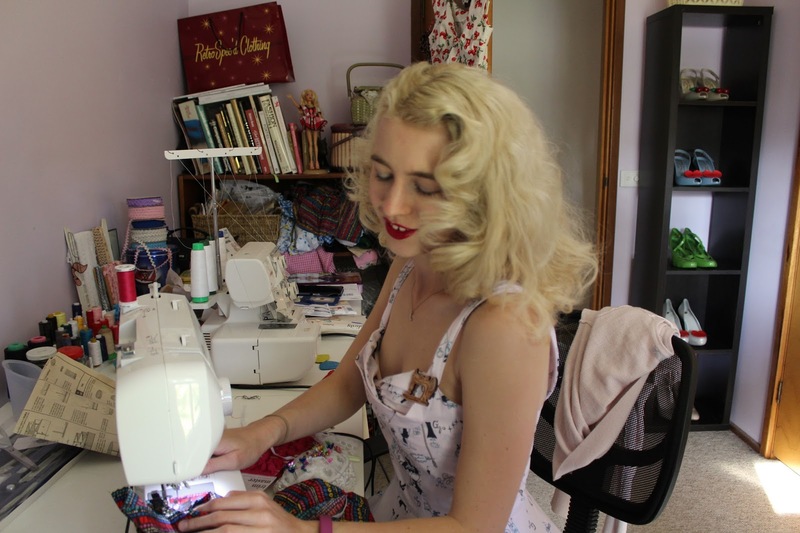 I thought it would only be fitting to wear a me-made dress along with my Deer Arrow sewing machine brooch that Renee gifted me recently! 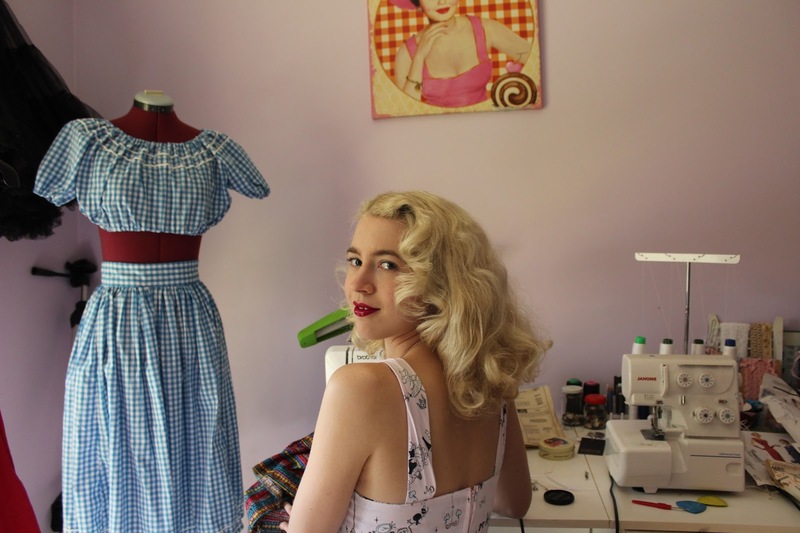 The gingham matching gypsy top and skirt set on the mannequin is also something I have sewn, I made Harlow one too and plan on making Renee one in the next month or so! 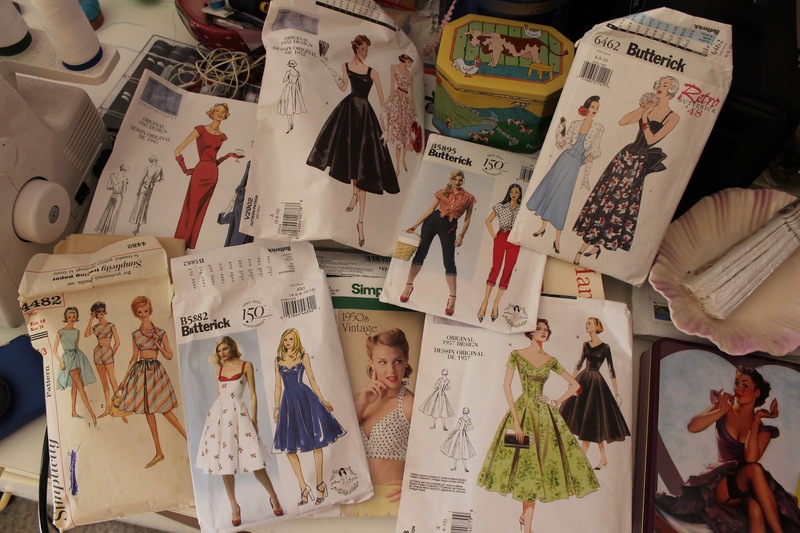 Some of my vintage and reproduction patterns... I just keep buying them. Standing in front of the computer desk and waving to you all, well... I was really just waving to myself at the time haha. This dress was made with the Butterick B5882 pattern... It was quite a challenging pattern with the pleated bust inserts, however, once I got past that it all came together and I'm quite pleased with the end result. I would love to try it again! 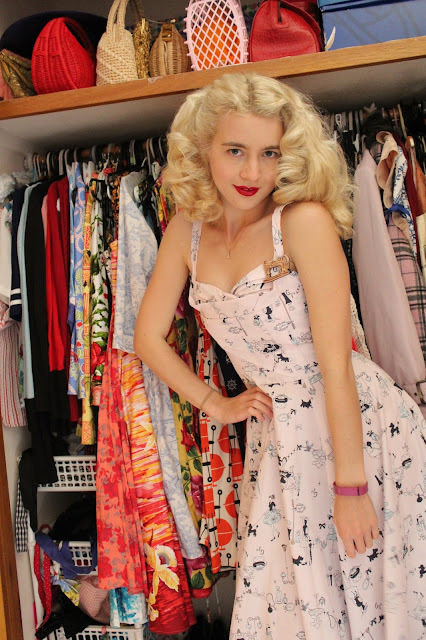 Wardrobes make good backgrounds and my Fitbit that I'm always wearing! 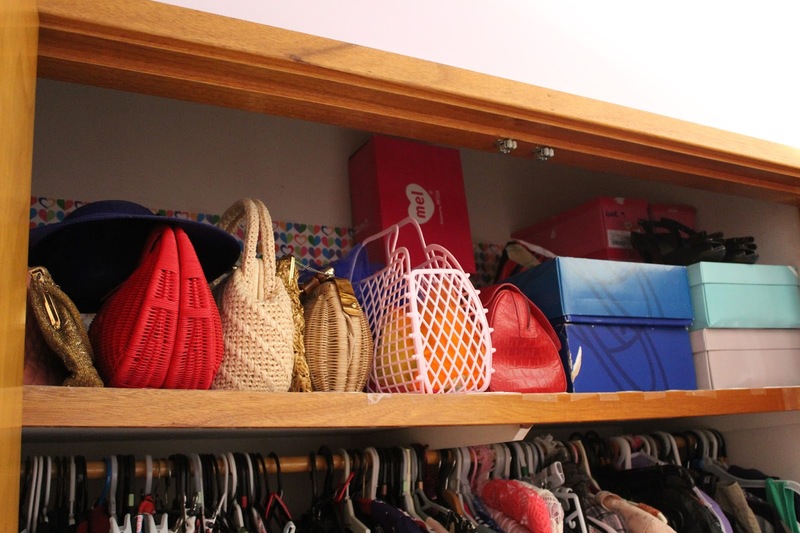 My Precious shoes that I like to change around on the shelf, I also like to put a different outfit on the mannequin each week or fortnight when I am not working on a project. I am currently working on a gypsy top with pom poms! 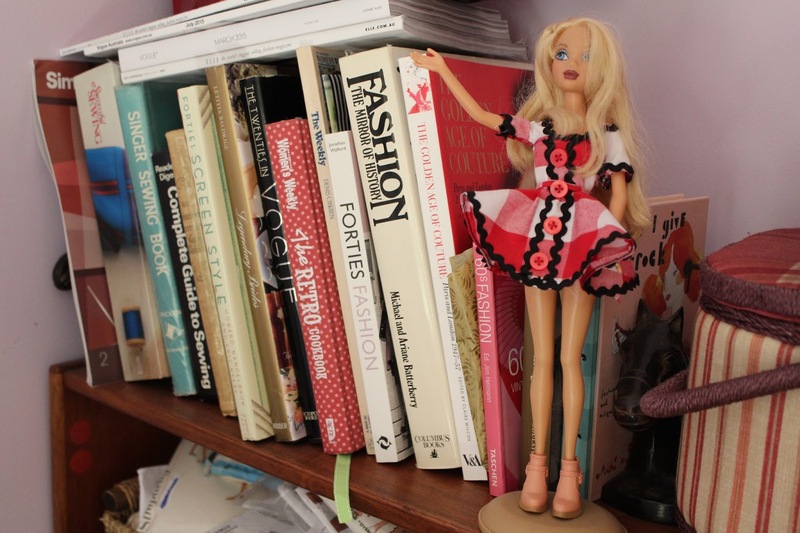 I made Barbie a matching dress last year that was featured in The Hell Bunny Rag magazine, see the post here! She stands next to some of my vintage fashion and sewing books. Ric-Rac, trimmings and random tins for storing them in (which I intend to cover some with scrap fabric). 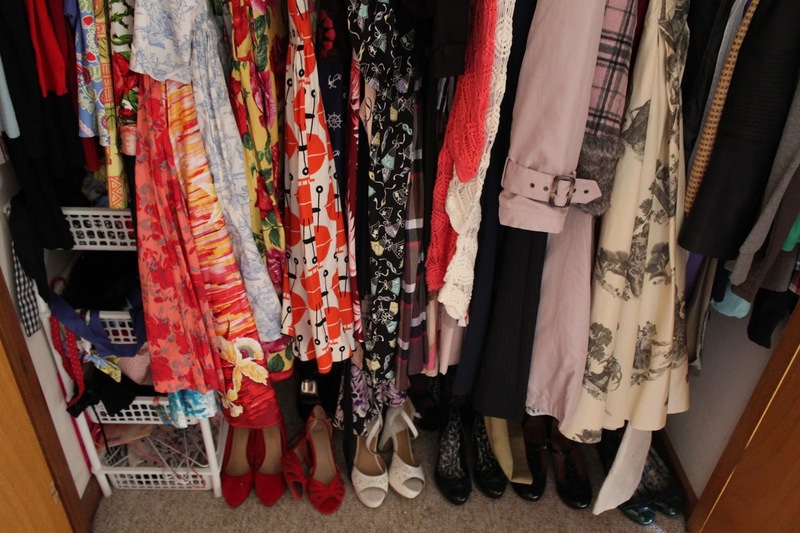 I do store a lot of my clothes in my bedroom wardrobe but like to keep particular ones in this room. There are quite a few me-made outfits that I never get around to posting about but I will get them on the blog soon. I hope this was somewhat interesting as I always enjoy room tours by other bloggers. Maybe I will do a video at some point too. What an awesome work space. I'm so impressed that you made your dress yourself! No wonder it looks so fabulous on you. 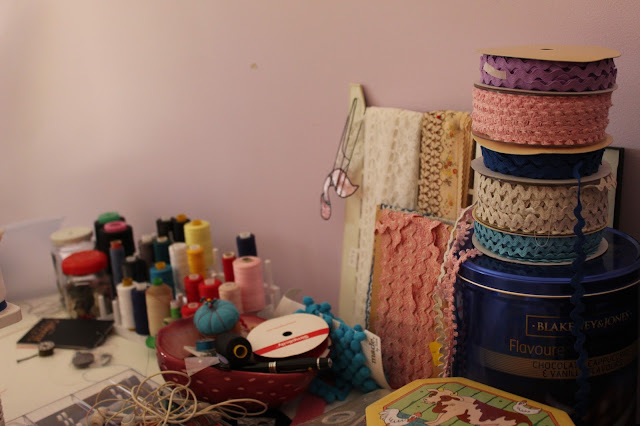 Our sewing rooms are pretty much exactly the same colour! The house we moved into once had a little girl so its this beautiful pinky purple with princess border wall paper. I only wish mine was organised like yours! This is so such a slice of home heaven! Wow!!! 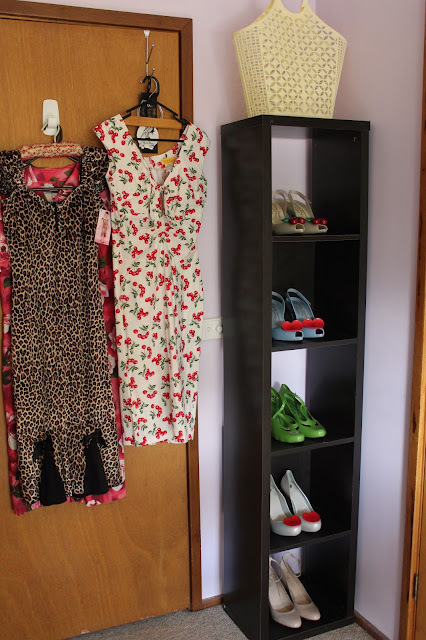 I love that so much of your wardrobe mingles with your sewing room. That seems like such a natural pairing. Thank you for the tour, I really enjoyed it! Sneak peek behind the scenes! So much fun! 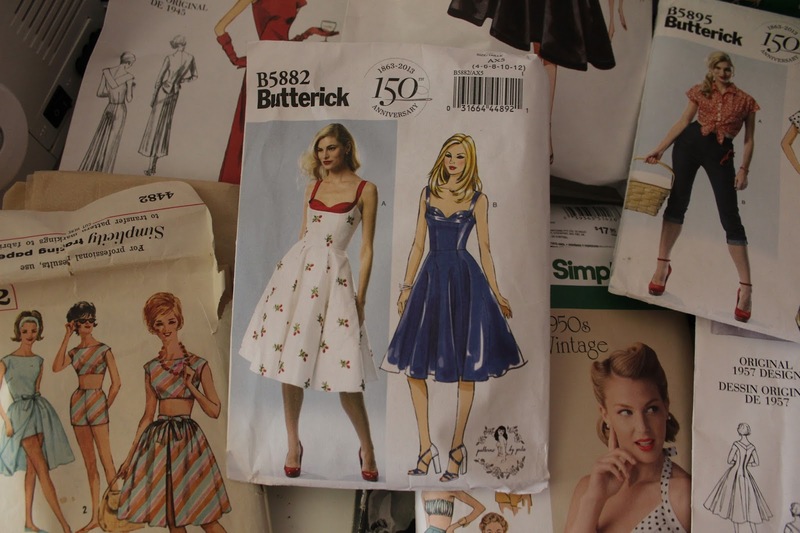 I love your dress with the shelf bust ~ is that Gertie's pattern? I've thought about sewing it up, but I'm afraid the shelf bust detail would be drawing too much attention to my top half. Lovely dress and I love the print you chose! <3 You have such an amazing talent with making dresses! I'm glad that you have a whole room where you get to really spread out as you're working away! Thank you for this virtual room tour it's really interesting I enjoyed it! 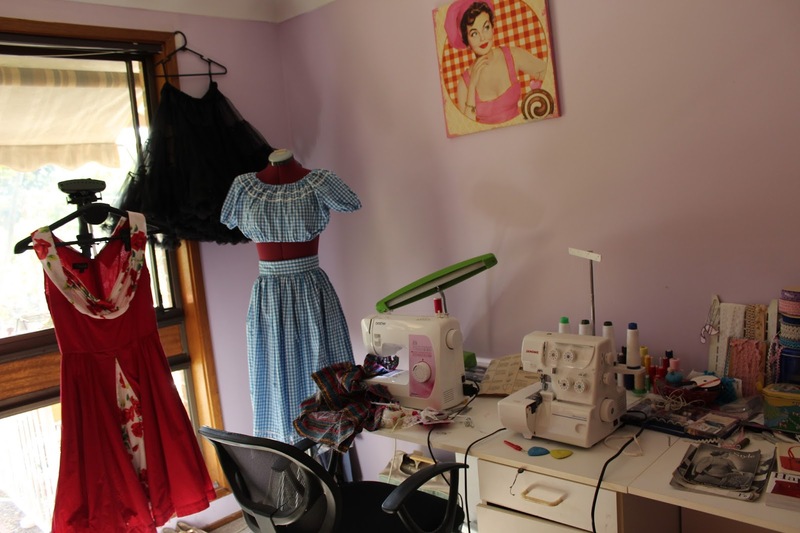 I also have a sewing room at home but my is not so clean... ;) The dresses you sew are really beautiful! I love to discover your creations. 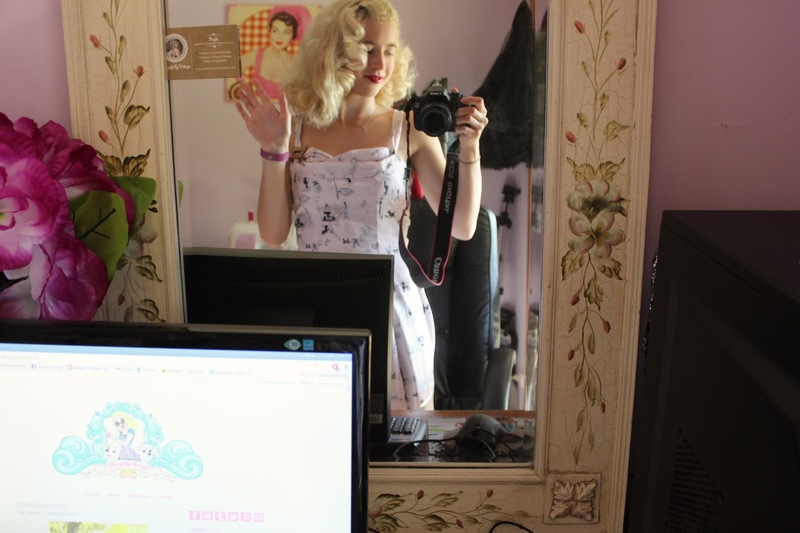 What a very functional room, Kayla! 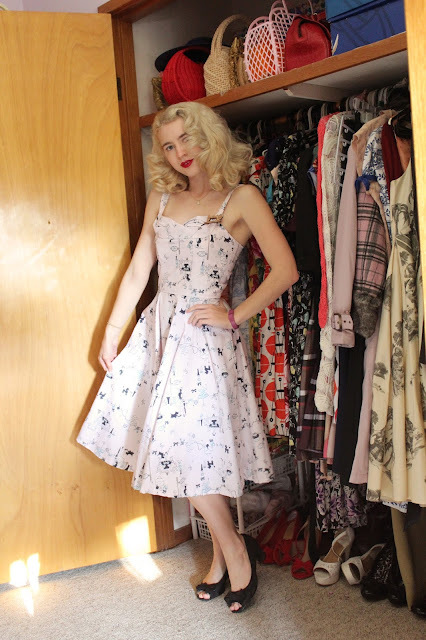 Those wardrobes – clothes and all – are so lovely. It's amazing that you sew some of those clothes yourself. 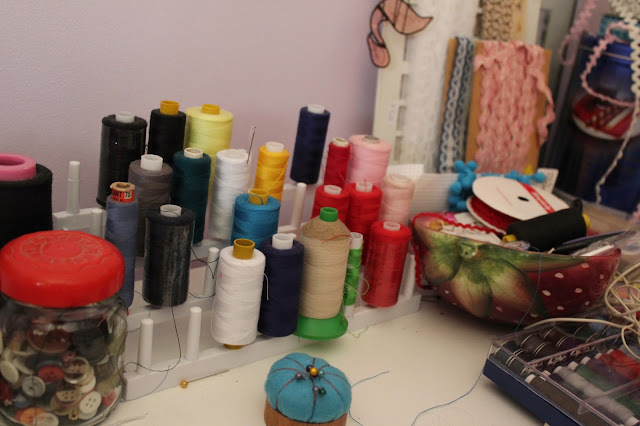 Sewing clothes, organizing it in the closet, and planning for outfits at the same time might seem like a nuisance to others, but it looks like you really enjoy doing it a lot. Thank you so much for sharing! Good day!